Robbinsville (population 620) and Graham County is located in the western tip of North Carolina. If you are wanting to escape the crowds, head to this "wild" west where the Nantahala National Forest covers 68% of the entire county! So you'll find pristine rivers and lakes, old growth trees and plenty of nature-inspired things to do. With only 8,000 residents of the entire county, you'll be treated to a slower pace. It's about 95 miles from the city of Asheville. Next door is the Great Smoky Mountains National Park. 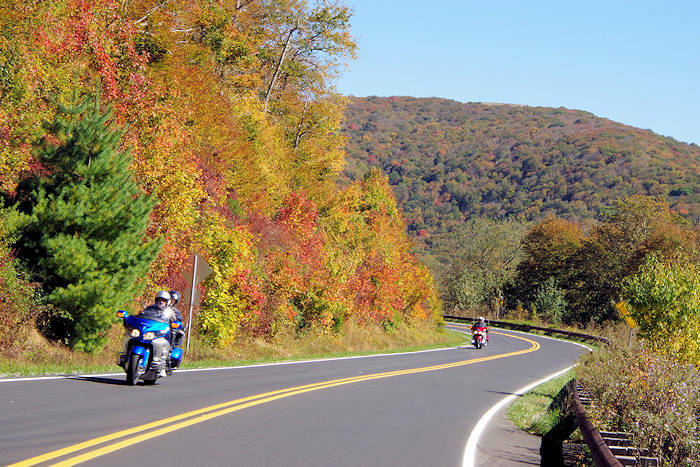 Cruise three of the best motorcycle and sportscar touring roads in America. The Dragon (US 129) is the most challenging with 318 curves in 11 miles. The 50 mile-long Cherohala Skyway is gentler but offers mile-high views. Moonshiner 28 skirts Cheoah and Fontana Lakes and named for the many moonshiners that drove it. The Indian Lakes Scenic Byway also follows NC 28 by Fontana Lake and continues on US 129 by Lake Santeetlah. The Graham County Visitor Center is located on US Highway 129 (387 Rodney Orr Bypass) and staffed with volunteers on Monday-Friday, 9-5. You can also call them with questions at 828-479-3790. Stock up in town on snacks, food and gear for your explorations. Robbinsville's tiny downtown is centered around the courthouse. Our favorite place to eat is Lynn's Place, a longtime diner (237 East Main). 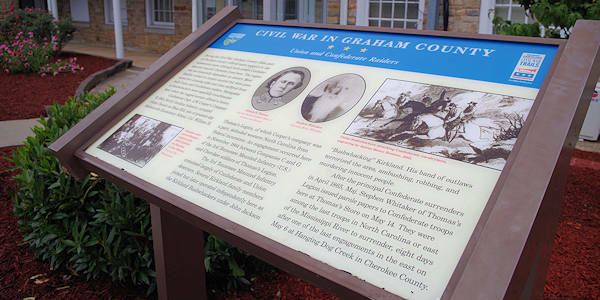 While you are at the courthouse, see the historical marker on East Main Street to learn about the last surrender of the Civil War east of the Mississippi. Since the area was so remote in 1865, news of the war's end was slow to reach the troops here. While it's small, Robbinsville has had some moments on the big screen. The courthouse was used as a film location of the movie Nell with Jodie Foster and Liam Neesom. Segments of the motion picture The Fugitive starring Harrison Ford and Tommy Lee Jones were filmed at nearby Cheoah Dam (including Harrison jumping off the dam). More recently, the Avett Brothers album honors the town with the title "Four Thieves Gone: The Robbinsville Sessions." Robbinsville's biggest celebration of the year is the annual 4th of July Heritage Festival. Another big draw is the Ramp Fest scheduled for the last week of April. In Stecoah, don't miss the Harvest Festival each fall. Find some amazing artists tucked away throughout the county. Many have studios open on a regular basis. Twice a year, the Drive About weekends feature about 15 studios and galleries on a self-guided tour. 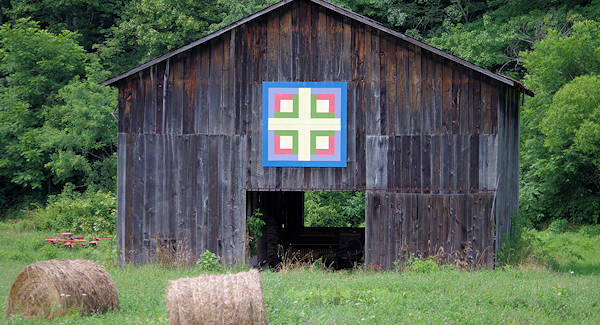 The headquarters for local art in the county is Stecoah Artisans Gallery. Near Robbinsville, visit Hunting Boy Wood Carving, Wehrloom Honey, Sassafras Farms and Taylor's Greenhouse. 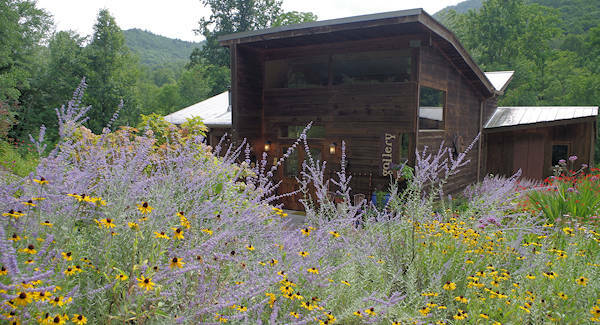 To plan your own art tour, go to a directory of local artist studios. Visit Wehrloom Honey (257 Willie Colvin Road, Robbinsville) and see how they harvest honey from millions of bees to make homemade lotions, soaps, beeswax candles and variety of raw honey! Read more about their farm. While Robbinsville became a town in 1883, the Cherokee Indians date back to the early 1500s. Native resident Great Chief Junaluska was the leader of the Snowbird Clan of the Cherokee. He was given honor as the man who fought alongside President Andrew Jackson at the battle of Horseshoe Bend. Learn more about him and the Trail of Tears at his grave at the Junaluska Memorial Site (1 Junaluska Drive). Read more about sites along the NC Trail of Tears. 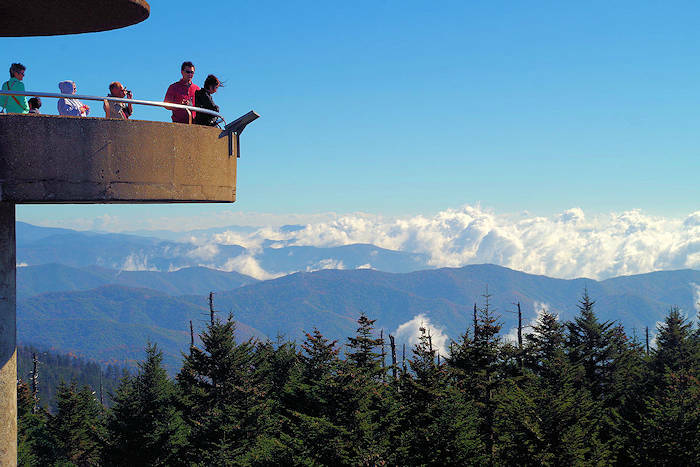 Since the Cheoah Ranger District of the Nantahala National Forest covers 120,500 acres in Graham and Swain Counties, you may need some guidance of where to get started. Among the 300+ miles of hiking trails are some strenuous sections of the Appalachian Trail. Stop by the Cheoah Ranger District office at 1070 Massey Branch Road (or call 828-479-6431), open Monday through Friday from 8 AM-4:30 PM. A handicap accessible fishing pier is nearby. See the National Forest Camping Guide.